Two articles have recently appeared in the popular press addressing the so-called Pirahã controversy, one in The Economist and another in The Chronicle of Higher Education. The authors of these two pieces, especially Tom Bartlett, the author of the CHE article, come off as hostile, brutal, spiteful, ridiculous, and childish. Oh wait, these are exactly the words he uses for us linguists. One thing I have to agree with in the CHE article, though, is that the topic deserves “a response beyond name-calling”. Here, I am trying to provide such a response. But before “asking whether Everett actually has it right”, as Tom Bartlett suggests we should, I want to use this post to mention the top-10 most glaring examples of misunderstanding, mix-ups, and “flaming” by the authors of these two articles. So here it goes, in no particular order. 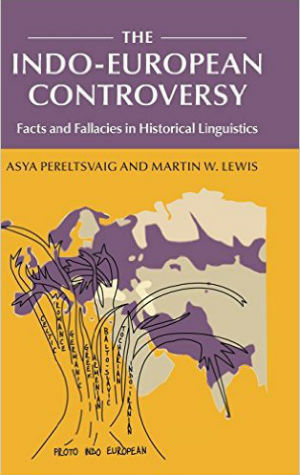 “But [Everett] argues that just because we are capable of language does not mean it is necessarily prewired.” No, it doesn’t. 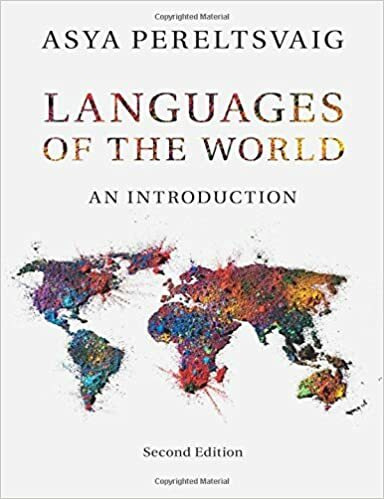 But the fact that we humans and only we are capable of language, and only of language being a certain way (for linguists, “within the bounds of Universal Grammar”) suggests that language is prewired. Studies of how children get from no language to native language further validate this hypothesis. There is a strong assumption in both articles that conducting actual fieldwork and getting data from some obscure language spoken by a small group in an area without air conditioning or running water is somehow more valuable for the linguistic enterprise than working with a language spoken by millions in a more civilized part of the world. By why would data from Pirahã be more valuable in principle than data from, say, Russian? Are Russian minds less human? This assumption is not valid at all, as all human languages are spoken by people with human minds, all have peculiarities and subtleties of their own and all are equally interesting for linguists. “The Pirahã language is remarkable in many respects. Entire conversations can be whistled, making it easier to communicate in the jungle while hunting. ” I am not sure why it makes Pirahã remarkable. Khoisan languages use clicks. American Sign Language uses certain types of gestures. So what? 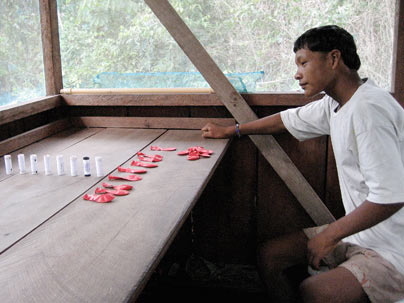 “The Pirahã don’t use numbers. They have words for amounts, like a lot or a little, but nothing for five or one hundred.” This is not entirely true. The Pirahã may not have native words for exact numbers, though this is something that is hotly debated (I will come back to this in a forthcoming post). However, they are not unable to understand quantities or even to learn number words, as was shown by Karen Madera, Dan Everett’s former wife, who managed to teach the Pirahã borrowed number words. It is quite possible that the Pirahã do not bother with number words because they have little to count or care whether they have five or one hundred of. “The Pirahã don’t embed phrases in other phrases. They instead speak only in short, simple sentences.” Actually, one can speak in relatively short and syntactically simple sentence and still use embedding, as in Karen’s sister’s husband has arrived. Here, a noun phrase Karen is embedded inside another noun phrase, Karen’s sister, inside another noun phrase, Karen’s sister’s husband. Another famous example of non-clausal embedding is The house that John built poem. Not having a certain type of recursive structure does not mean that the language in question does not allow recursion in principle. As I will discuss in more detail in a later post, the type of possessor embedding mentioned in the previous bullet-point, Karen’s sister’s husband, is not possible in such otherwise perfectly recursive languages as German. “Instead of unfolding in the same way in Paris and Papua New Guinea, languages are crafted by their speakers to meet their needs. ” And how exactly would languages be “crafted” by their speakers? At an elders’ meeting? Through a conscious effort to improve a language with, say, Subject-Object-Verb order by making it a Subject-Verb-Object one? Anybody but linguists actually pay attention to such things, consciously, that is? And this is not even the most subtle aspect of a language grammar! In fact, languages do “unfold in the same way in Paris and Papua New Guinea”: they are learned by small children from their parents, siblings, and others around them, by hypothesis formation, pattern discovery, analogy, trial-and-error, and other methods that linguists explicate in their work. “This “living for the moment”, which the Pirahã enjoy (they think Western life sounds dreadful), shapes their language.” I wonder if the language of Buddhists is shaped the same way too. At least they are trying to live for the moment, or so my meditation guru tells me. “True instincts, like turtles making their way to the sea or ducklings bonding with their mothers, require no learning.” Actually, the duckling bonding does require learning: the duckling has to learn which object in the world is the “mother”. Apparently, they can be “taught” to follow any moving object, at a certain prewired age, even a soft drink can. Also, many types of singing birds “learn” their song from other individuals, even though the capability for learning the song is clearly instinctual. “Animals do not truly excel in their deployment of basic instincts, whereas some humans clearly use language much better than others.” Not if by language we understand the ability to learn/acquire or use one’s native language. Barring pathology, everybody learns their native language at about the same pace. And everybody becomes an expert, if often subconsciously, in the subtleties of one’s language and its grammar.